Your website and online content are some of the first things that prospective clients and customers see. In this sense, your copy is your brand ambassador. It has the potential to roll out the welcome mat or to send people running in the opposite direction. To keep potential clients on your website (and make them fall in love with you), you’ll need copy that shines as brightly as you do. But how do you get that? By overhauling what you already have. The good news is that this doesn’t have to be long and involved. 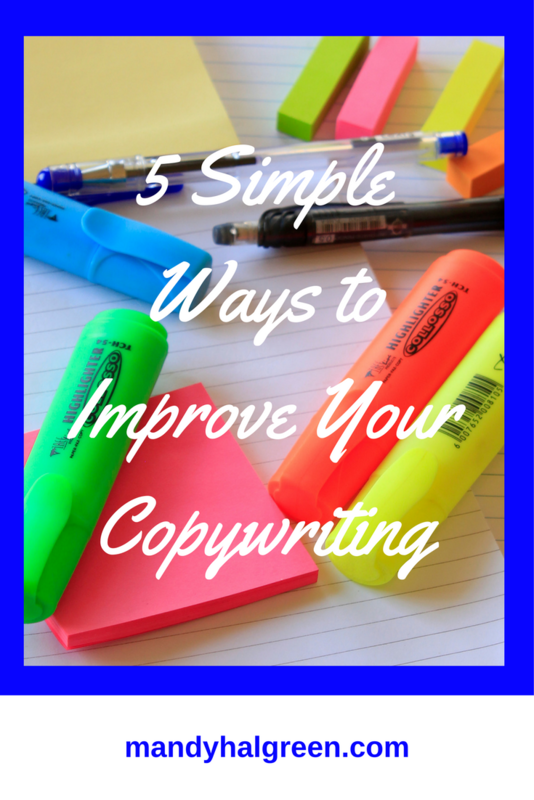 I’m breaking down five simple ways to improve your copywriting. The first thing you need to do to improve your copywriting is to write down the goals for your website and each of your main pages. 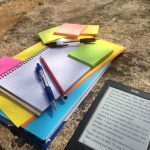 It’s a small thing to do, but having your goals written down where you can see them when you write goes a long way towards helping you create copy that’s in line with your goals. If the overall goal of your website is to book more clients, then you need to ensure that each of your goals for your other main pages work towards that bigger goal. Your about page should introduce people to you and tell them what you do and how they can work with you. If your copywriting on your about page accomplishes that, you’ll be checking off two goals at once. Including the goals of each of your pages also helps keep you on track when you write. It’s easy to veer off course when we write, especially if we ramble in day-to-day conversation. The only problem with that is people have a finite attention span, especially on websites. So having your goals written down and visible helps you to stay on topic and make sure you’re accomplishing your bigger goals. This mindset shift is instrumental to writing cohesive website copy. Instead of viewing your website as five or six different pages that are completely separate from each other, look at them as pieces of a map. Ultimately, you want your visitors to accomplish your main goal for them, which likely includes either hiring you or purchasing something from you. To do this, you’ll need to lay out a map (branching off your page goals from earlier). If you view each page as a piece of the map, you know exactly how far each page should take your website visitor. You also know which page you want them to visit next, so you can prompt them to follow that path by using calls-to-action like “Check out my services page”. I bet you weren’t expecting to see this one in here. But including more of your personality is one of the easiest ways to improve your copywriting. How can you include your personality in your writing? Think about two or three aspects of you or your life that you’d like to include more of. Maybe you’re an avid Star Wars fan or you love classical music. You can include your love of those subjects in your copywriting. Sprinkle Star Wars references throughout your copy or talk about you favourite classical composers. If you have any intriguing personal stories that your readers can learn a lesson from, include those in your copy. There’s a lot of flexibility with where and how you include your personality because this is about how you want to express yourself. So give it some thought, and start experimenting with your personality in your copywriting. On your sales pages or services pages, don’t forget to address a specific problem your readers have. While it seems heroic to tackle all 3,498 problems that your visitors have, it can get overwhelming for them. They want to know exactly what you’re going to help them do, and if your answer is “everything” you’ll likely lose people before they reach your “book now” or “buy now” button. Choose one or two problems that your readers have and talk directly to them about it. Show them that you understand their frustration, either because you’ve been there yourself or because you’ve worked with enough clients that you know what they’re going through. If you want to sell something, whether it’s a service package or a product, you have to include the benefits of what you’re selling. The benefits are the hows of your product or service. They tell your readers how you’ll make their lives better. While features are nice to read about and they tell people exactly what they’ll get, it’s the benefits that really get people to buy. If you’re not sure what the benefits of your offer are, look at the features and go from there. Ask yourself how your features affect people. What have your past clients or customers experienced? Including the benefits of your offer can be difficult at first, but it makes selling easier. If you’re not sure where to start, look at your website copy and run through the list of ways you can improve your copywriting. 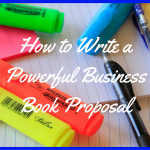 Does your copy include each of the things this blog post discusses? If it doesn’t, make a note about what’s missing on each page. Once you’re done with the review, go through each page and work these tips into them. Be sure to give yourself plenty of time, and be patient. Writing is hard work, especially when you’re working on copy that will become your brand ambassador. Ardelia Lee is a strategic copywriter who helps female entrepreneurs form deeper relationships with their potential clients and increase their conversion rates through irresistible copywriting that’s infused with their personality, quirks, and passion. 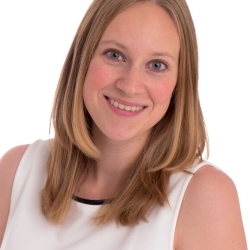 Find out more about Ardelia and copywriting by visiting her website and following her on Instagram!